FAR HILLS, N.J. (Jan. 13, 2015) – The Philadelphia Cricket Club has been selected by the United States Golf Association (USGA) as the host site for the 2020 U.S. Amateur Four-Ball Championship. The dates for the championship, which will be the first USGA championship hosted by the club since the 1910 U.S. Open, are May 23-27. "To return to Philadelphia Cricket Club, with its three outstanding golf courses, for the first time since the 1910 U.S. Open is truly historic," said Daniel B. Burton, USGA vice president and Championship Committee chairman. "The restoration work that was recently completed there is outstanding and our Four-Ball teams will see their skills tested at the highest level. We are very happy to return to this classic American golf club." The 2020 U.S. Amateur Four-Ball will be the third USGA championship conducted at Philadelphia Cricket Club, which is home to three courses: St. Martins (now nine holes), Wissahickon and Militia Hill (each 18 holes). The Wissahickon Course, which will host both the stroke-play qualifying and match-play portions of the championship, was designed by A.W. Tillinghast, who was a club member, and opened for play in 1922. In 2013-2014, the course was restored by Keith Foster to highlight the strategic bunkering, contoured greens and narrow fairways of Tillinghast’s original design. The Militia Hill Course, named for the deep Revolutionary War roots of the area, was designed by Dr. Michael Hurdzan and Dana Fry and opened in 2002. It will be used during the championship for stroke-play qualifying only. 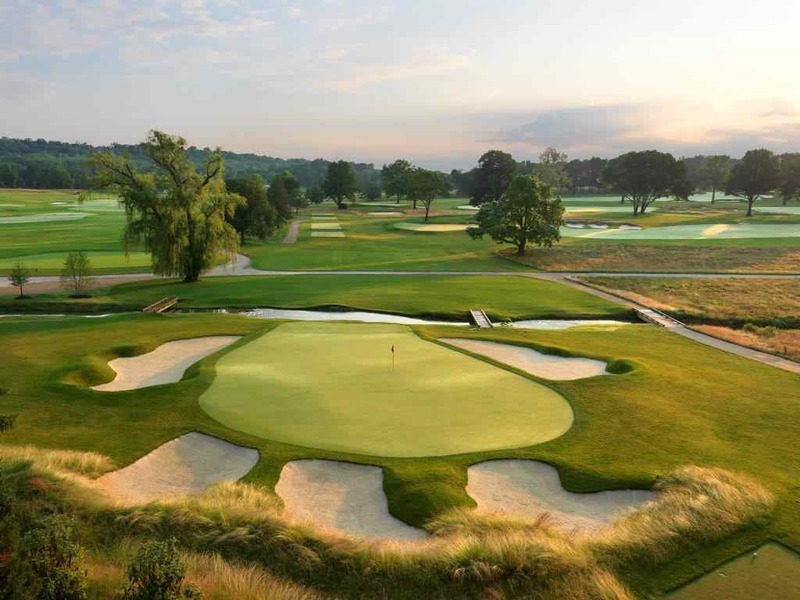 The PGA Professional National Championship will be played on Wissahickon in 2015, with Militia Hill also utilized for the first two rounds of the 72-hole event. The 2003 and 2004 Philadelphia PGA Section Championships and the 2004 Philadelphia Amateur were played on Militia Hill. The St. Martins Course, built by Willie Tucker in 1895, was the site of the 1907 and 1910 U.S. Open Championships. In 1907, Alex Ross, brother of legendary architect Donald Ross, won by two strokes (302-304) over Gilbert Nicholls. In 1910, Alex Smith shot 298-71 to win in a playoff over Macdonald Smith and Philadelphia’s own John J. McDermott, who went on to win the next two U.S. Opens. The club’s professional, Willie Anderson, a four-time U.S. Open champion, finished 11th in 1910. "Philadelphia Cricket Club, the oldest country club in the U.S., is excited to welcome the 2020 U.S. Amateur Four-Ball Championship," said Michael J. Vergare, Philadelphia Cricket Club president. "The recent renovation of our Wissahickon Course, designed and played by ÔTilly’ in 1922, promises challenges a century later. The combination of Wissahickon and our Militia Hill Course, designed by Hurdzan-Fry and opened in 2002, will present the players with a venue that represents both classic and contemporary design." The club was founded in 1854 by a group of English-born cricket players who attended the University of Pennsylvania and is one of the oldest clubs dedicated to sports in the U.S. The club was also a founding member of the American Lawn Tennis Association and hosted the National Women’s Tennis Championship from 1887 to 1921, when it moved to Forest Hills, N.Y.
Philadelphia Cricket is one of the four founding clubs of the Golf Association of Philadelphia, which was organized in 1897. The first U.S. Amateur Four-Ball will be contested May 2-6, 2015, at The Olympic Club in San Francisco, Calif., with a field of 128 sides (256 players). The 2016 championship is scheduled for May 21-25 at Winged Foot Golf Club in Mamaroneck, N.Y., with the 2017 championship set for May 27-31 at Pinehurst Resort & Country Club in the Village of Pinehurst, N.C. Eligibility for the U.S. Amateur Four-Ball Championship is limited to amateurs, with no age restrictions. Partners comprising teams or sides are not required to be from the same club, state or country. Entry is limited to individuals with a Handicap Index¨ not exceeding 5.4.